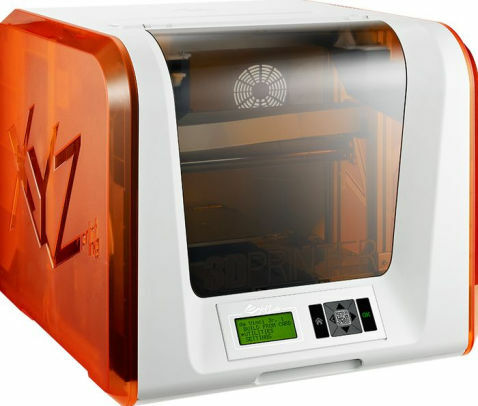 Build 3D models with this XYZ Printing da Vinci Junior 1.0 3F1J0XUS00C 3D printer, which offers fast 90mm/sec. printing speeds and a 5.9" x 5.9" x 5.9" build volume for creating detailed items. Lets you create 3D models using .STL files. For simplified use. Supports biodegradable PLA plastic for environmentally friendly builds. To enable simple setup, so you can get started printing right away.